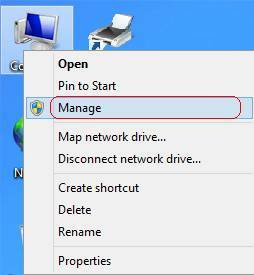 How to install adapters on Windows 8 if plug-and-play fails? 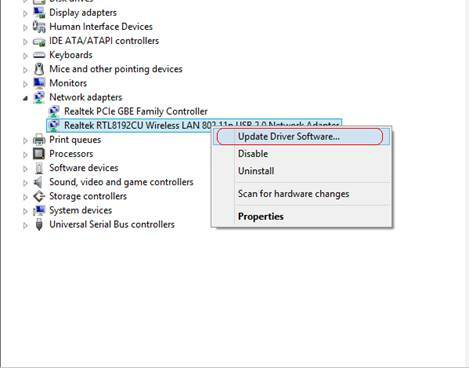 Before the installation, please download the latest Windows 8 driver of your adapters and refer to FAQ 451 to install it manually. 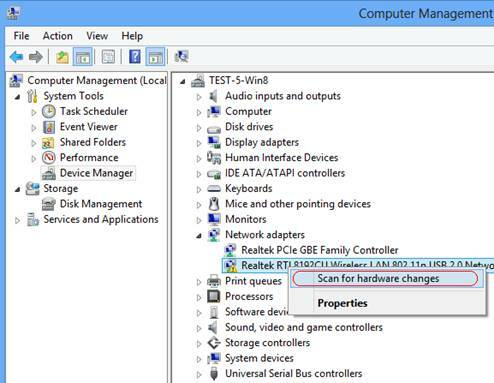 Please scan for driver automatically in the Windows 8 system files. 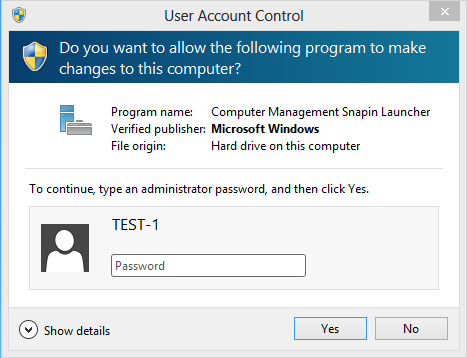 Note: If you are not an administrator, you’ll be prompted to type in an administrator password, and then click Yes. 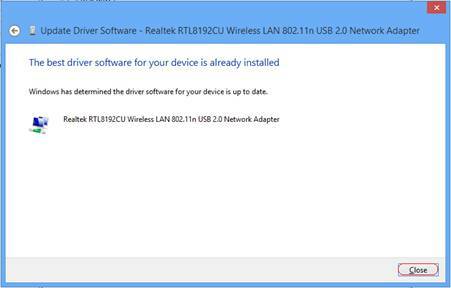 Open device manager, right click on your adapter, and then click Scan for hardware changes. Then in several seconds, the driver will be installed automatically. 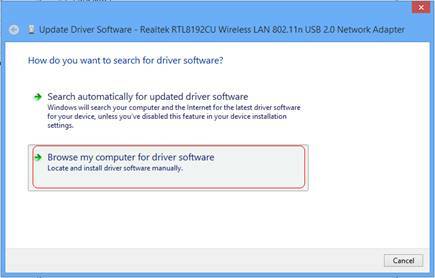 Please try to upgrade the driver in the Windows 8 system files. Tip: Please tick Include subfolders. 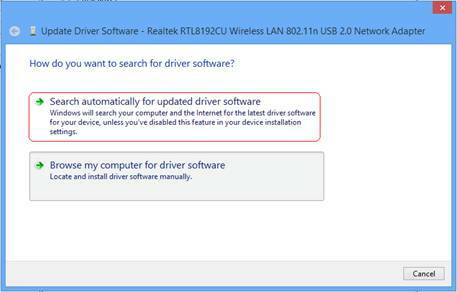 The driver will be installed automatically, and then please click Close. 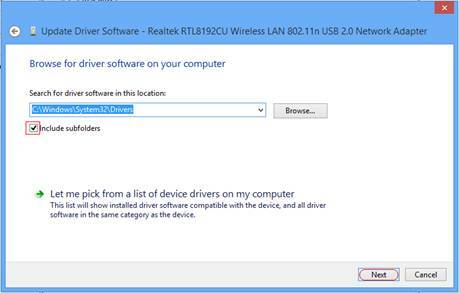 If your computer has access to the Internet via another adapter, you can also search the available driver automatically from the Internet.